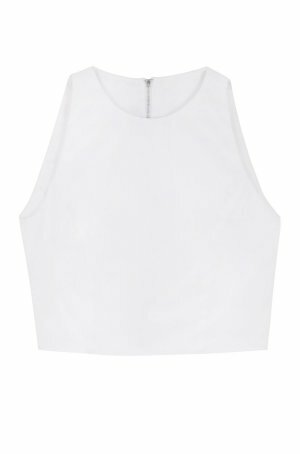 This pretty cropped style is crafted from fine cotton and has a zip-through opening at the back. It is cut for a slim fit. We like it with our silk MIDI SKIRT.